The development of CRISPR-Cas technology is revolutionizing biology. Based on machinery bacteria use to target foreign nucleic acids, these powerful techniques allow investigators to edit nucleic acids and modulate gene expression more rapidly and accurately than ever before. 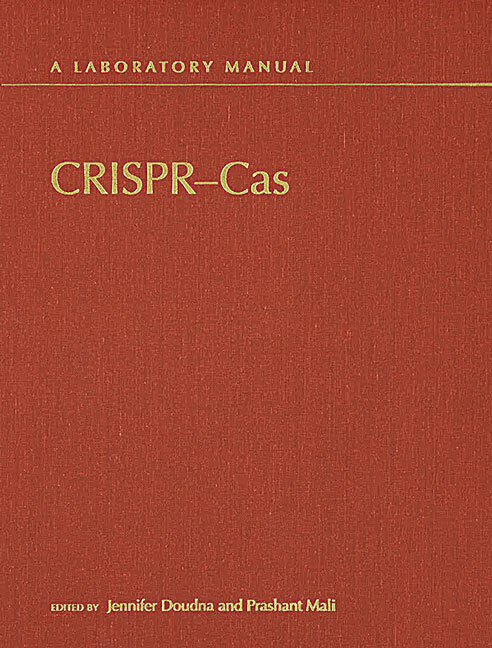 Featuring contributions from leading figures in the CRISPR-Cas field, this laboratory manual presents a state-of-the-art guide to the technology. It includes step-by-step protocols for applying CRISPR-Cas-based techniques in various systems, including yeast, zebrafish, Drosophila, mice, and cultured cells (e.g., human pluripotent stem cells). The contributors cover web-based tools and approaches for designing guide RNAs that precisely target genes of interest, methods for preparing and delivering CRISPR-Cas reagents into cells, and ways to screen for cells that harbor the desired genetic changes. Strategies for optimizing CRISPR-Cas in each system—especially for minimizing off-target effects—are also provided. Authors also describe other applications of the CRISPR-Cas system, including its use for regulating genome activation and repression, and discuss the development of next-generation CRISPR-Cas tools. The book is thus an essential laboratory resource for all cell, molecular, and developmental biologists, as well as biochemists, geneticists, and all who seek to expand their biotechnology toolkits.